SK Telecom (NYSE:SKM) announced today that it signed a sponsorship contract with Riot Games Korea today at its Seoul headquarters located in Jung-gu, Seoul. The contract signing ceremony was attended by Ryu Young-sang, Executive Vice President and Head of MNO Business of SK Telecom, and Jaysen Park, Country Manager of Riot Games Korea. 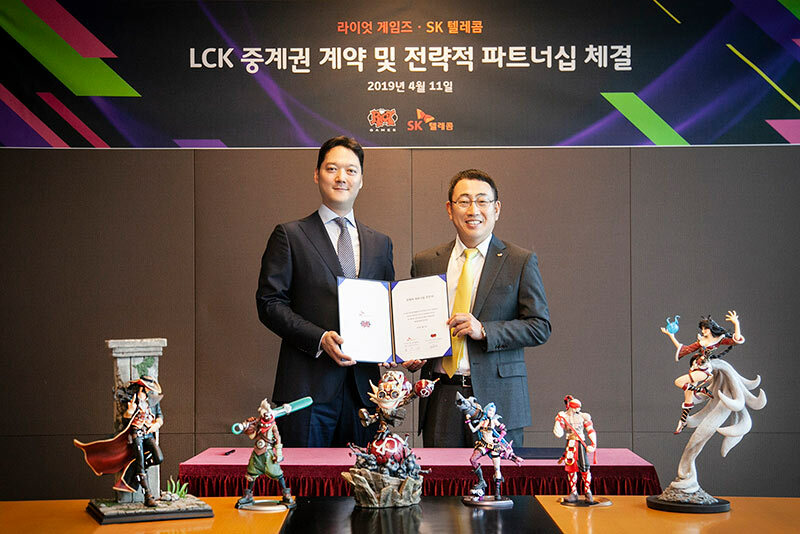 According to the contract, SK Telecom will serve as the official sponsor of LCK until 2020. The company’s 5G brand (‘5GX’) logo will be displayed on online banners and promotional materials related to the League of Legends Champions Korea (LCK) and diverse events will be held – e.g. experience/photo zones, Sponsor’s Day, etc. – to promote SK Telecom’s 5G brand. The contracts with Riot Games Korea, coupled with its February deal with Comcast Spectacor to establish an esports joint venture, will strengthen SK Telecom’s presence and competitiveness in both the 5G and esports content markets. "It's a great pleasure to announce that Riot Games Korea and SK Telecom were able to reach this contract,” said Jaysen Park, Country Manager of Riot Games Korea. “Riot Games will continue our efforts to build a better LCK moving forward based on this partnership."